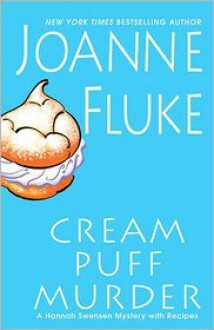 Fan-adored author Joanne Fluke always satisfies the cravings of listeners who like their mysteries served with a sugary sweet confection. Hannah Swensen, like most women in Lake Eden, Minnesota, is not a fan of Ronni Ward—the man-stealing gym bunny. So when Ronni turns up lifeless in a jacuzzi—accompanied by one of Hannah's cream puffs—the long list of suspects begins with Hannah. The mystery was good. Hannah finds out what a jerk Mike is and Norman is still perfect for her. In this book, Hannah is trying to solve the murder of the local hussy, Ronni. Will she pick Norman over Jack because of the things that happen in this installment? Good mystery. These are fun books. Nearing the end and will be sad when they're over.